Mojo Video Marketing provides entrepreneurs with the latest time-tested solutions and strategies for massive growth in the new economy in Months, not Years! In this episode Allyn Cutts & Chip Cooper, Esq. 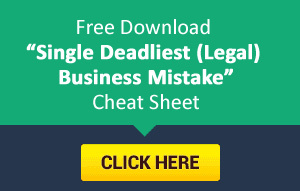 discuss the legal landmines businesses need to lookout for when marketing online. Allyn Cutts has 20 years for online and offline direct response marketing experience. Chip Cooper has extensive experience as a SaaS, software and Internet attorney drafting and negotiation SaaS contracts, hosted software agreements, and developing privacy policies and other legal document for the corporate market.